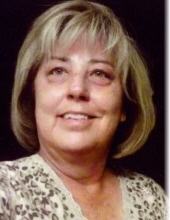 Brenda Joyce Cheek, age 58, of W.T. Parker Road, Corbin, Kentucky passed away on Saturday, January 26, 2019 at Baptist Health in Corbin. She was born on September 26, 1960 in Jellico, Tennessee to the late Billey Ray Stephens Sr. and Mary (Brumett) Stephens. She was also preceded in death by her brother, George (Peanut) Stephens. She is survived by her husband, Donald Wayne Cheek of Corbin; son, Michael Wayne Cheek of Corbin; mother, Mary Stephens of Corbin; brother, Billey Ray Stephens (Tammy) of London; two sisters, Judy Ann Thacker (Johnny) of Charleston, South Carolina and Peggy Jane Poston (Clarence “Buck”) of Corbin; several nieces and nephews; and a host of other family and friends to mourn her passing. Visitation will be after 6:00 P.M. Tuesday, January 29, 2019 at Croley Funeral Home. The Funeral Service will be at 2:00 P.M. Wednesday, January 30, 2019 at the Croley Funeral Home Chapel with Rev. Ron Shelton officiating. Following the Service she will be laid to rest in the Oaklawn Addition of Pleasant View Cemetery. To send flowers or a remembrance gift to the family of Brenda Joyce Cheek, please visit our Tribute Store. "Email Address" would like to share the life celebration of Brenda Joyce Cheek. Click on the "link" to go to share a favorite memory or leave a condolence message for the family.